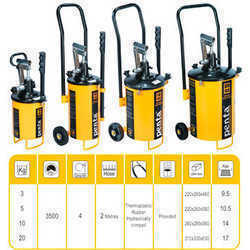 Offering you a complete choice of products which include air compressor, air operated grease bucket, hero honda special tools kit, four wheeler water service pump, grease bucket hand operated and two wheeler power pack. 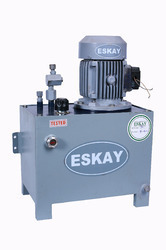 We deal in Pneumatic Grease Buckets used in Automobile Industry Workstations available in 15Kgs, 25Kgs 50Kgs capacity. 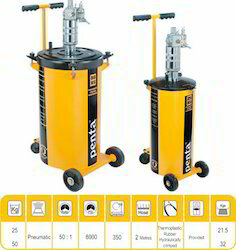 We deal in Hand Operated Grease Buckets with Rubber Hose Gun available in 3Kgs, 5kgs, 10Kgs 20Kgs Capacity. Hydraulic Power Pack for Ramps, each power can take a load of 4 ramps togather. Highly Equipped Motor Hydraulic Piston with Nitrile rubber seals. 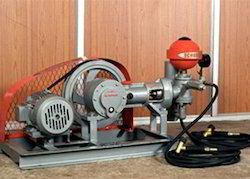 We deal in Two Wheeler Vehicle Washing Pump equipped with 2 Piston Pump 1.5HP Motor mounted on trolley. 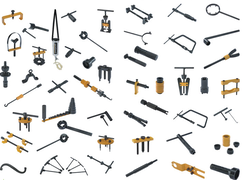 Looking for Garage Tools & Machinery ?